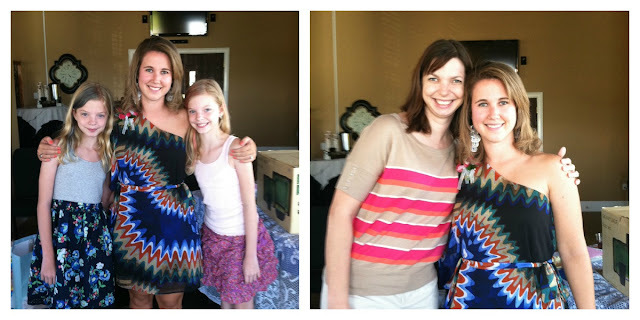 Last weekend, the girls and I went to this sweet lady's bridal shower. It was both good and not so good. Good because we love this girl and had a great time (loved seeing her family and meeting her finance...can't wait to have them over for dinner this summer). Bad because she was the girls' babysitter (hence why she is called Miss BriBriana, even though her name is just Briana)...starting when she was in 8th grade and all throughout high school. And now she has graduated college and is getting married. Which means that she is old. Which means that I am very old. And that, my friends, is bad. But aside from all that, we can't wait for the wedding and wish her (and Frank) all the very best!